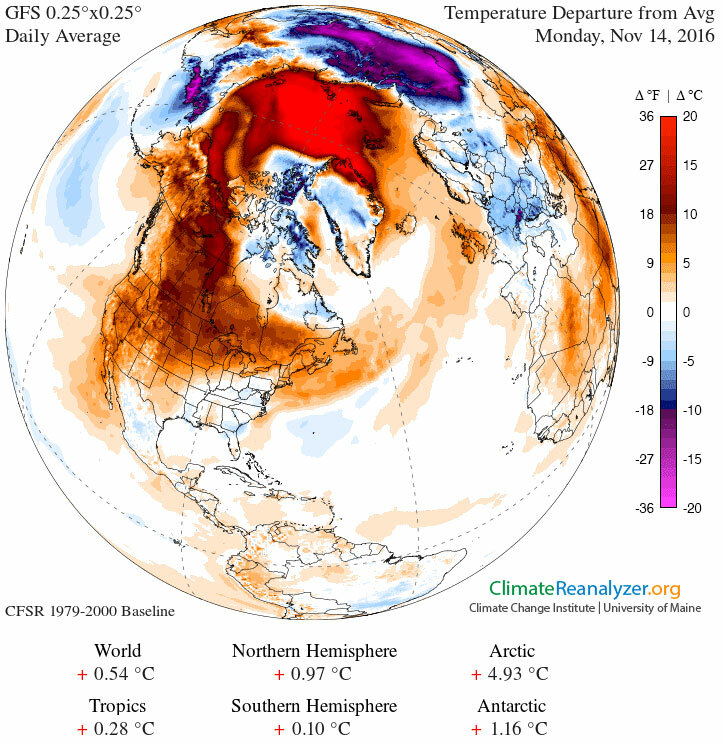 Explanation: Why is it so warm in northern North America? 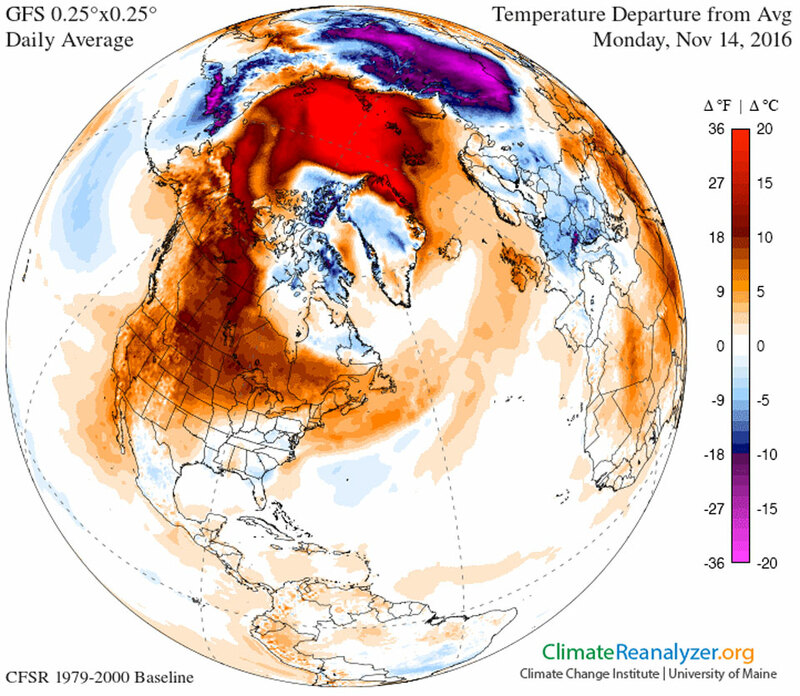 Usually during this time of year -- mid-November -- temperatures average as much as 30 degrees colder. Europe is not seeing a similar warming. One factor appears to be an unusually large and stable high pressure region that has formed over Canada, keeping normally colder arctic air away. Although the fundamental cause of any weather pattern is typically complex, speculation holds that this persistent Canadian anticyclonic region is related to warmer than average sea surface temperatures in the mid-Pacific -- an El Niño -- operating last winter. North Americans should enjoy it while it lasts, though. In the next week or two, cooler-than-average temperatures now being recorded in the mid-Pacific -- a La Niña -- might well begin to affect North American wind and temperature patterns.